JUST as trees take years to sink roots, so did Ms Isis Lim Ee Mei’s career path. The seeds of her interest in nature were planted began in her childhood, when she spent hours exploring the parks and nature reserves in Singapore with her family. While on a biology field trip in secondary school, she used different methods to estimate the population sizes of coastal fauna. “That experience sparked my interest in the processes behind what I observed, and I became keen on field work,” says Ms Lim, 26, a manager with the Park Planning department of National Parks Board (NParks). After graduating from junior college in 2009, she decided to apply for the NParks Undergraduate Scholarship, which covers approved tuition and compulsory fees, return economy airfare, accommodation and living expenses. “I was interested in ecology and environmental science, and I also wanted to play a direct role in realising our City in a Garden vision,” says Ms Lim. 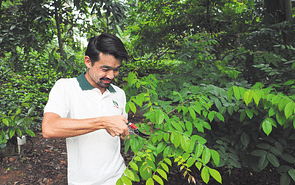 “My family and friends were very supportive; they knew the organisation’s role in developing the green spaces and nature areas in Singapore.” At the Australian National University (ANU) in Canberra, Ms Lim pursued a Bachelor of Science in Forest Science and Marine Science, graduating in 2014 with first class honours. She was particularly drawn to the many opportunities for hands-on laboratory and field work that the courses offered. It was not just living things she got to study, but also nature in the prehistoric ages. As part of an intensive field course in Advanced Palaeontology, she went on a 10-day road trip from Canberra to Adelaide to uncover the earth’s history through fossils. “From trace fossils of the Ediacaran fauna to skeletons of the Australian megafauna preserved in caves, we saw glimpses of what life on earth could have been like hundreds and millions of years ago.” The experience was an eyeopener for her. “I gained a lot more knowledge about the underlying earth processes that shape the landscapes, flora and fauna we see today, and a greater appreciation for the amount of time it has taken for all these to take place,” she says. Just moving from an urban jungle like Singapore with its limited space and nature to the massive Australian continent was enough to reshape her thinking and appreciation for nature. “Living in Australia opened my eyes to how diverse natural landscapes can be, and the factors that come together to influence them in a dynamic manner over different scales of time and space. This made me think about nature in a more flexible and fluid manner and the importance of being adaptable and resilient to change,” she says. Over the course of her final year at ANU, she designed and conducted her own underwater research project, where she explored relationships between a fish population and its changing habitat at the Ningaloo Reef. “I valued the research process, gaining new skills and knowledge, and collaborating with experts in the field,” says Ms Lim. 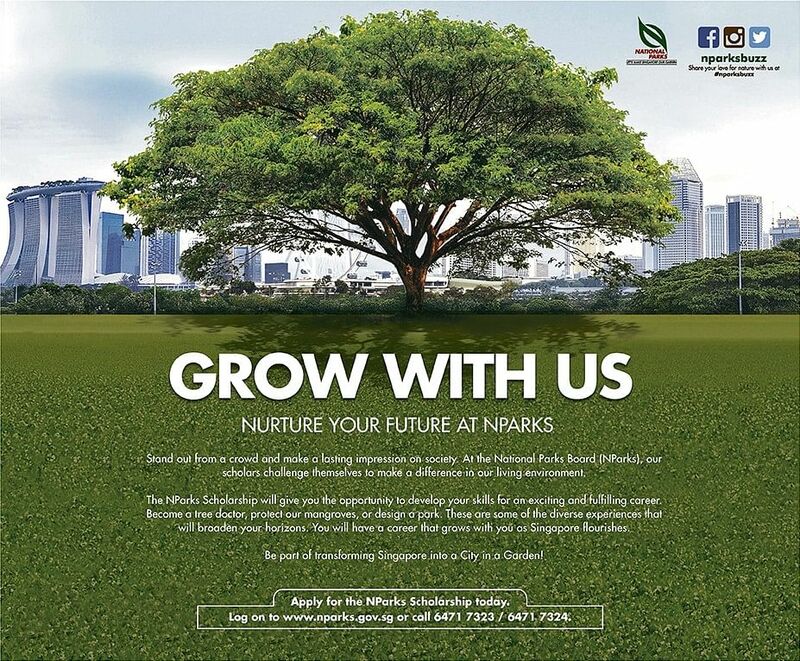 The nature lover joined NParks full-time in December 2014 as a manager in the Skyrise Greenery department, which steered a wide range of initiatives in greening Singapore’s built environment. While with the department, she embarked on a project at the new 180 sq m rooftop community garden atop Kampung Admiralty, to demonstrate how the espalier technique could work in skyrise greenery. Espalier is a horticultural technique where plants are grown on a flat plane by pruning and tying the plants onto a support structure, and is typically seen in temperate regions. “We also showed it could be a practical, space-saving option to grow fruit trees in Singapore, where most people have limited space for gardening,” says Ms Lim. “When the development at Kampung Admiralty was launched, many visitors were intrigued by the unique way the fruit trees were grown. I hope it inspires them to try out the technique.” In February last year, she joined the Park Planning department, which focuses on studying and developing a well-connected network of parks for recreation and conservation. Ms Lim’s new role, which includes studying new opportunities for green spaces that shape larger development plans, has her once again exploring Singapore’s ever-shrinking green spaces. “This has taken me to see many parts of Singapore that still have their rustic charm, being tucked away from the hustle and bustle of the built-up city. I enjoy this aspect of the job very much, because it inspires me to think of how we can better optimise our greenery for people to enjoy in the future,” she says. “Given Singapore’s densely populated urban setting, nature plays a pivotal role in ensuring that we enjoy a living environment of the highest quality.” Through her work, Ms Lim has even able to spread her love for nature, albeit sometimes in somewhat unexpected ways. “My family and friends are usually interested in hearing me ramble on about nature — especially when it concerns the things they can eat,” she says with a laugh.